The Walton Street is an original design and collaboration between SwissFineTiming and Laurent Ferrier Celebrating the Opening of Our New Boutique at 70 E. Walton Street. Limited Edition of 10 units. Titanium case, glareproofed sapphire crystal and caseback, black ceramic bezel, pushpieces and screw-locked crown, titanium pushpiece guards. The Octa Divine has been completely redesigned to a 42 mm. case. FP. 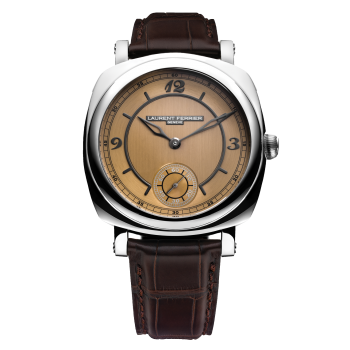 Journe's model has an uncluttered, elegant, and is perfectly legible. The angular NOMOS classic is now also available for men: bigger, thinner, automatic. Tetra neomatik nachtblau complements the new automatic series featuring the new caliber DUW 3001. Remaining true to the Ressence DNA ,TYPE 1²-Night Blue is newly cushion shaped with a thinner case due to the absence of the sapphire case back acting like a crown that has a rertractable handle. The New Type XX1 now comes in a slate grey, signed Breguet dial in a stainless steel case. Along with a sapphire crystal exhibition back displaying the movement, and a gold rotor. This Grand Seiko SBGA211G has the Spring Drive the world's most accurate watch powered by a mainspring along with the infamous Snowflake Dial is an examples of Grand Seiko's understated elegance. This is an exquisite limited edition of 10 pieces available for our clients. This watch was designed to pay tribute to the new location of Swiss FineTiming/Atelier Jewellers now located at 70 East Walton Street in Chicago. Swiss FineTiming/Atelier Jewellers was founded over 20 years ago by Gene Stern. Feeling unfulfilled as a corporate transactional attorney and a certified public accountant, Mr. Stern, an avid watch collector for most of his life, opened Swiss FineTiming. He wanted to share his knowledge and love of timepieces with others, while being involved in a business that he found inherently passionate. “I wanted to create a place to come to do business with people engaged in a profession, not store clerks.” His love for the art of watchmaking and enthusiasm or the industry is infectious. Gene’s interests include spending time with his wife Karen, two daughters, and their Bull Terrier Edy. He also enjoys restoring vintage pilot watches, art collecting, and is an avid car enthusiast. Daniel Jordan serves as Managing Director for Swiss FineTiming and joined the Firm in 2010. After several years employed in the automotive industry, Daniel took a leap of faith entering the world of high-end horology and jewellery. Having bought, sold, and traded timepieces for the better part of a decade with other watch collectors it was a natural progression to being on the other side of the counter. Daniel is responsible for a multitude of managerial and day to day roles in the business and is considered a leading voice in the Chicago watch collecting community as well as the rest of the world. His personal interests focus mainly on collecting vintage sport watches, playing and watching golf, and spending quality time with friends and family. Swiss FineTiming represents some of the most exclusive watch brands in the world. In fact, we are the only authorized agent in the entire Midwest region for several of the brands we represent. We specialize in providing the rare and hard to find manufacturers, along with highly sought after limited edition novelties. The depth of our boutiques’ inventory is nearly unrivaled in the industry. Conversely, we provide an excellent selection of brands which excel at providing opening luxury price points. Moreover, we provide unparralleled repair and restoration services, either being sent direct to the manufacturers or our own selected shops in the United States and abroad. Swiss FineTiming also carries designer and specialty jewellery pieces produced by Italian and German factories, watch winding boxes, high end writing instruments by Krone, handmade watch straps, and other gift items. 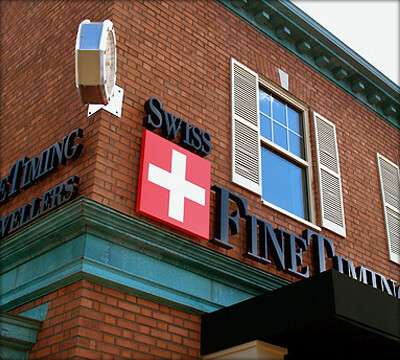 Over the years, Swiss FineTiming has evolved into the Premier luxury watch salon in the Midwest. 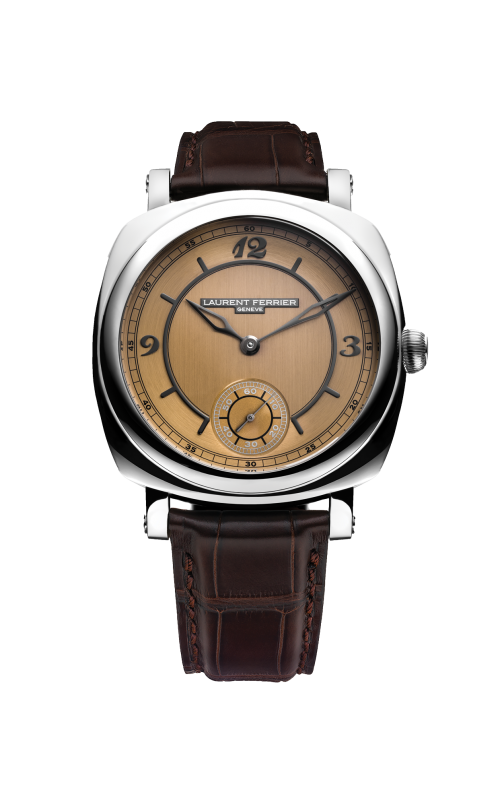 With two locations in the Chicagoland area, Swiss FineTiming is a must stop for any watch enthusiast looking for a reasonably priced timepiece and a learning experience for the seasoned watch collector, or those just delving into the world of quality watchmaking.